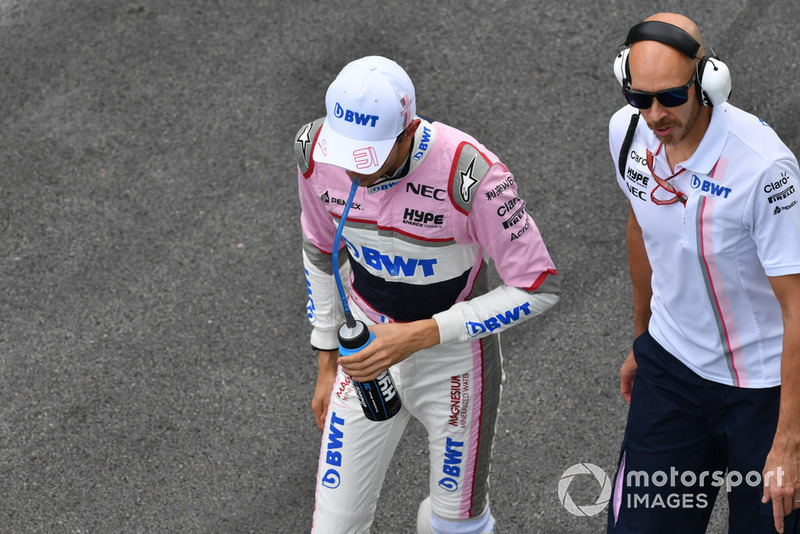 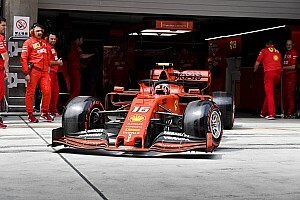 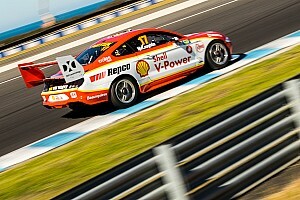 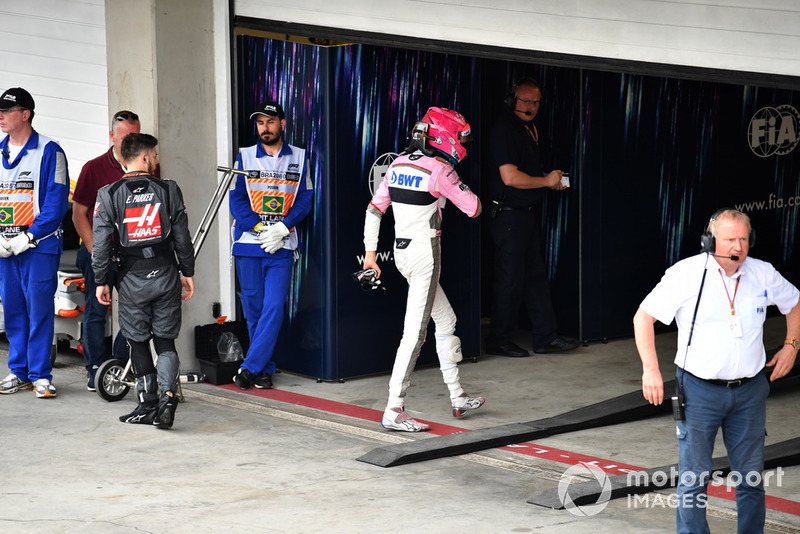 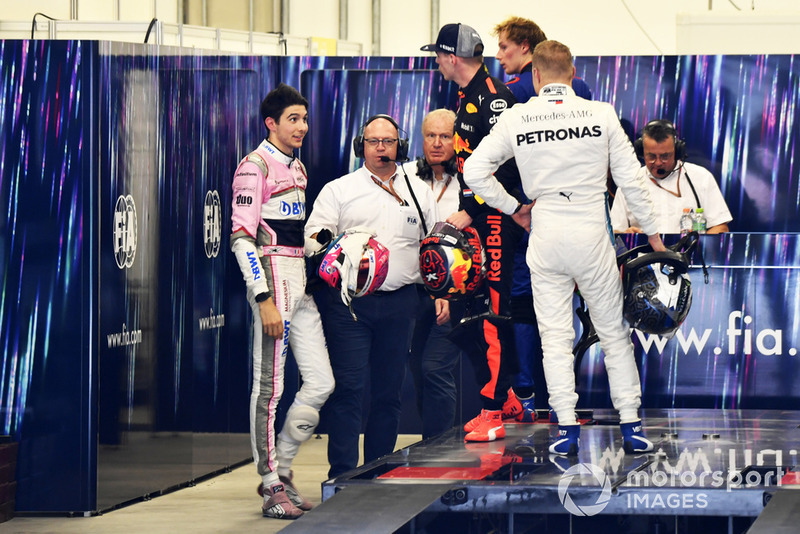 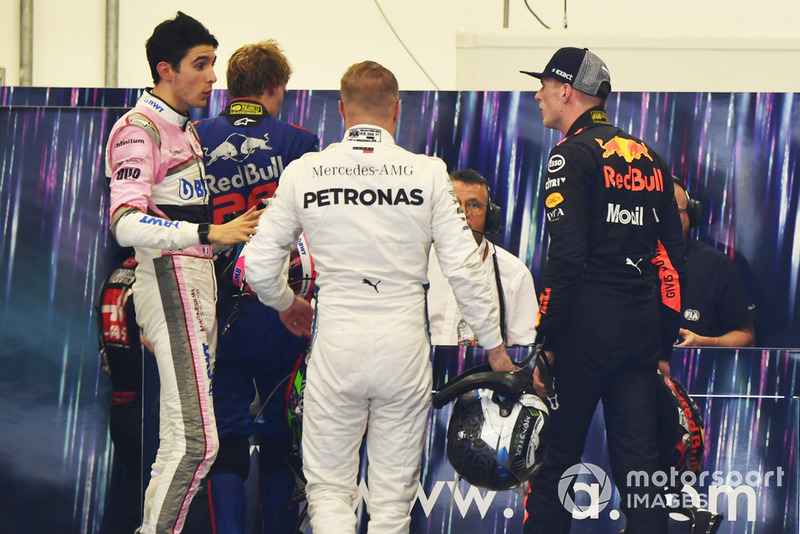 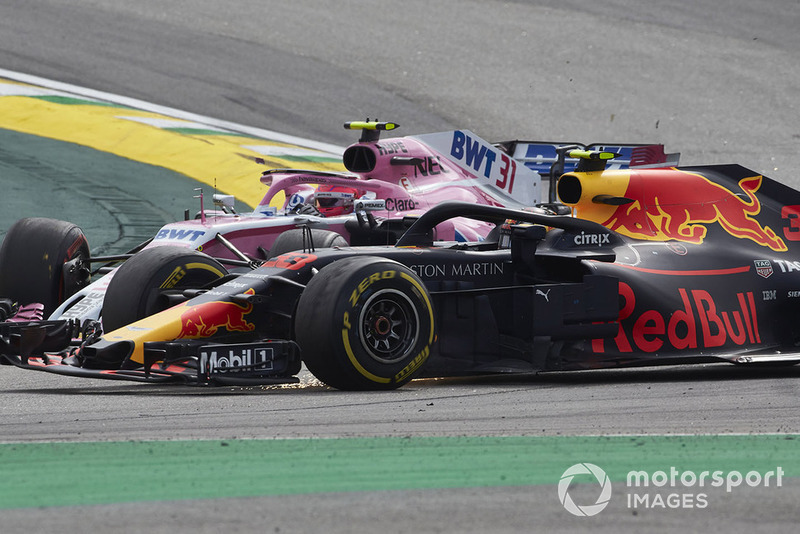 Relive the on-track clash and off-track scuffle in detail with our gallery from Motorsport Images. 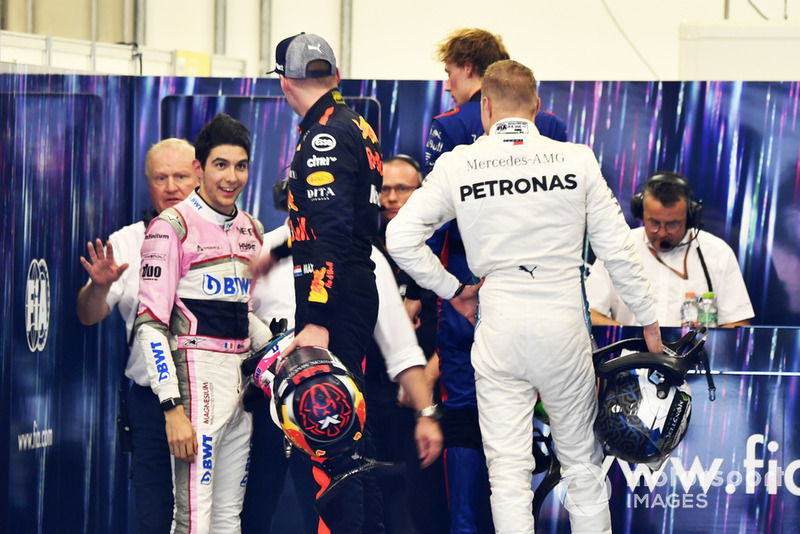 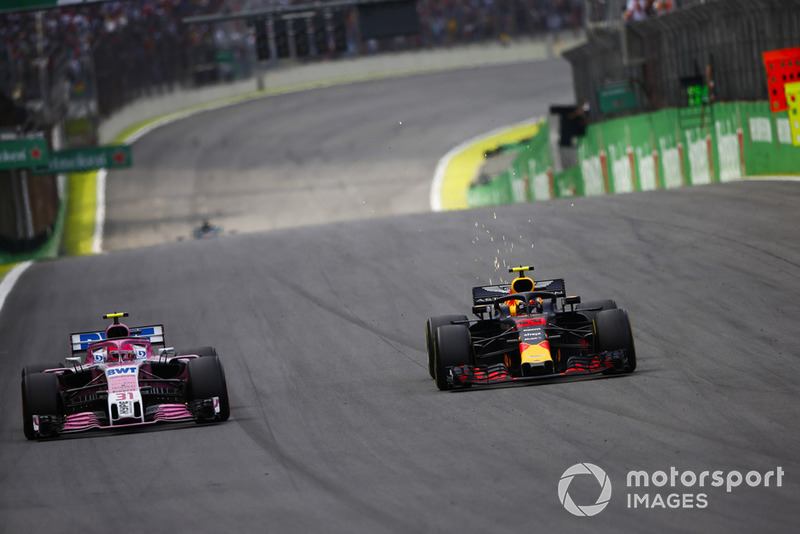 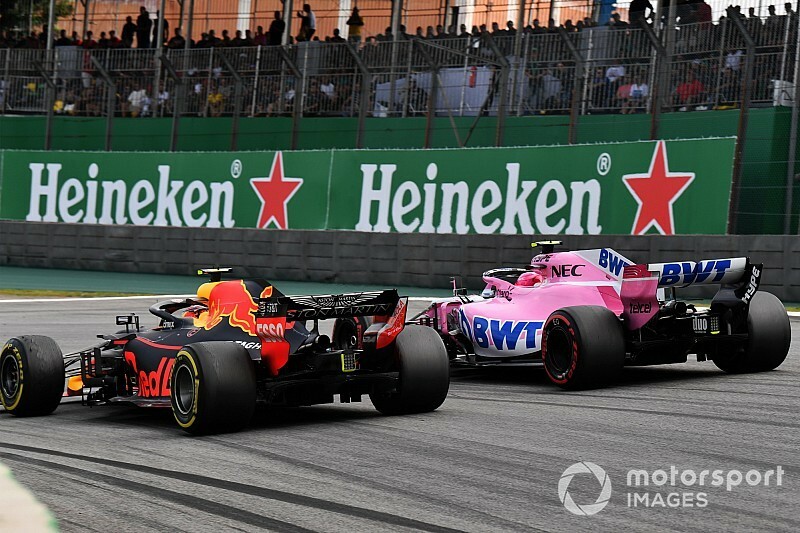 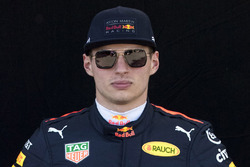 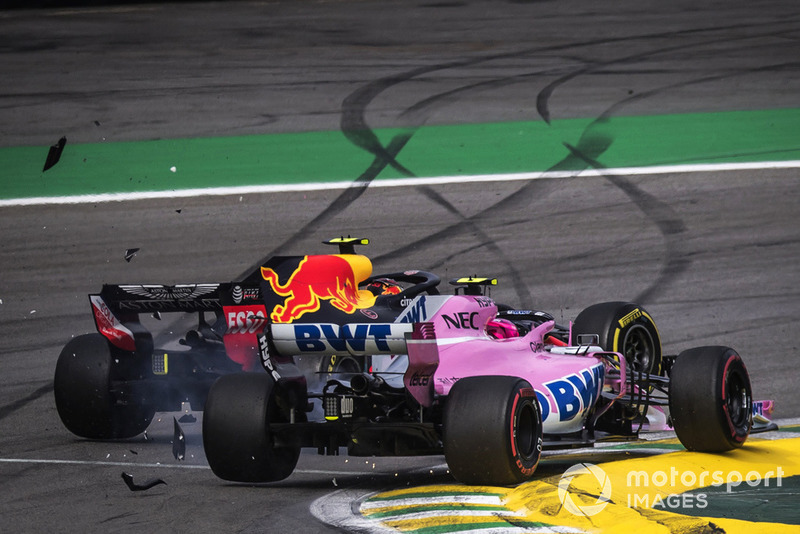 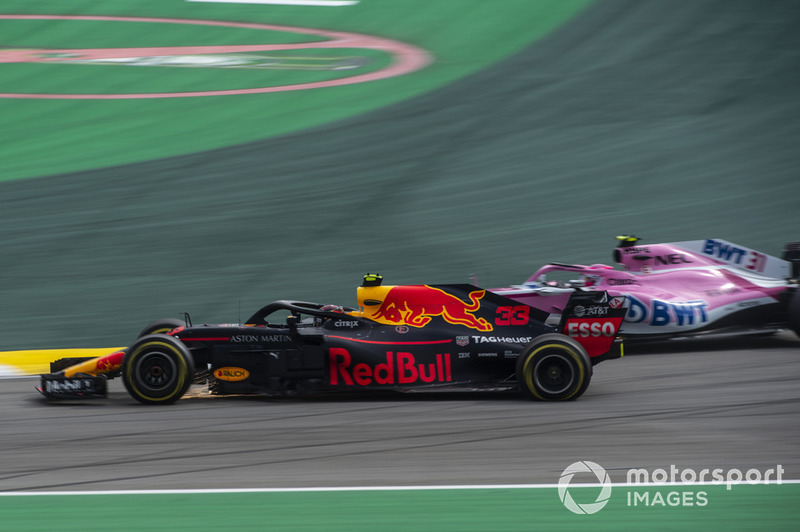 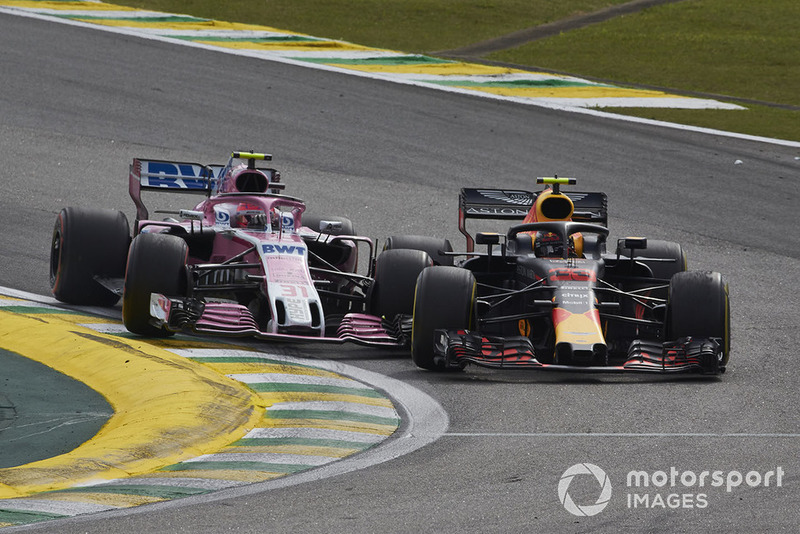 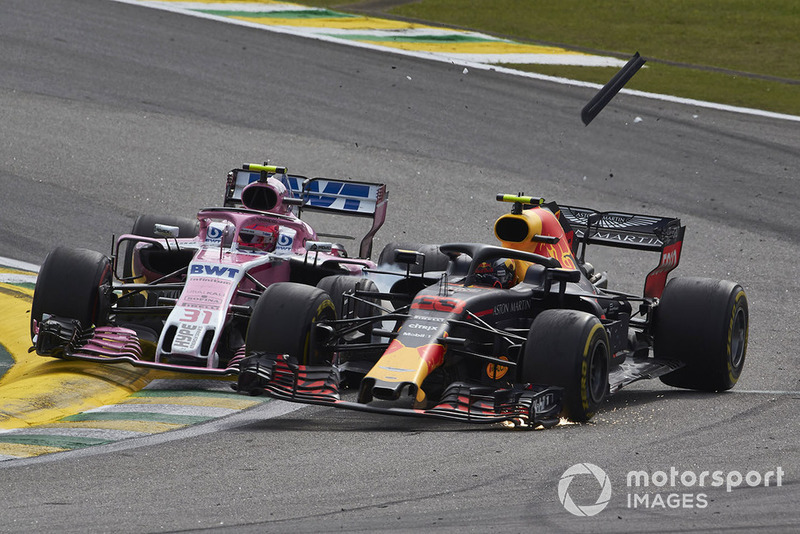 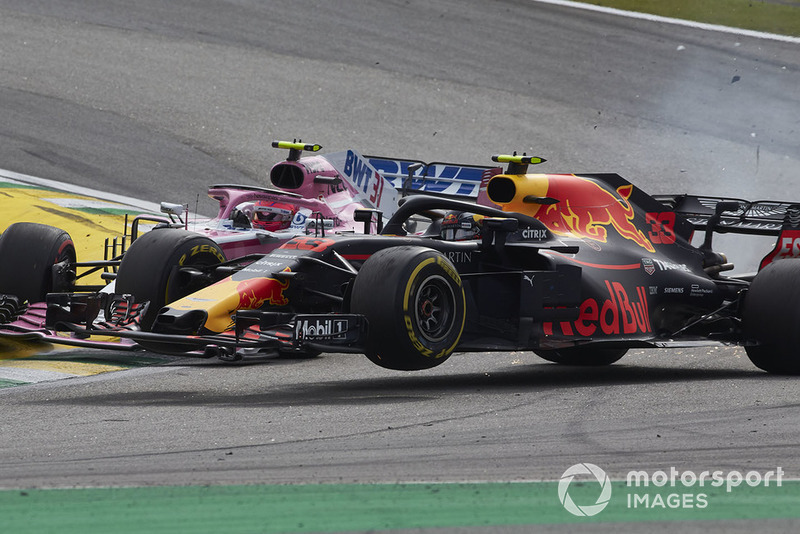 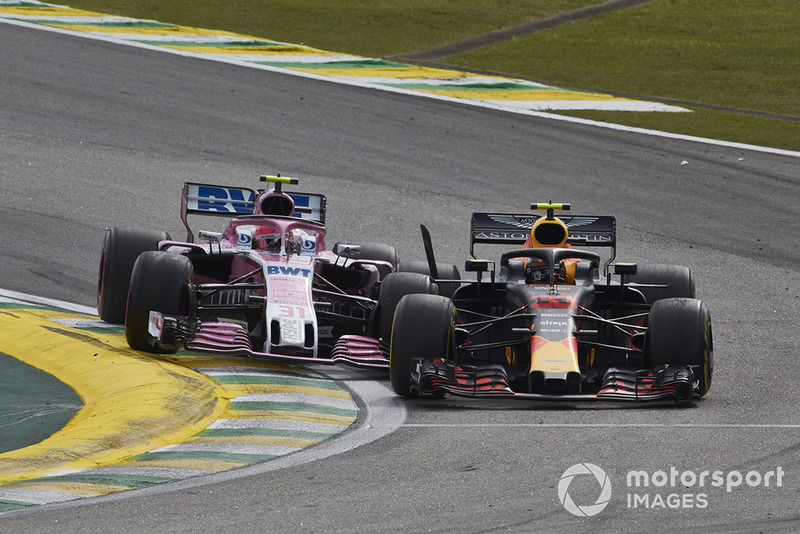 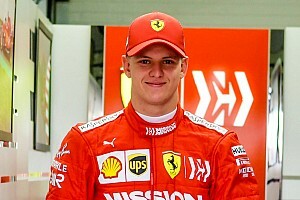 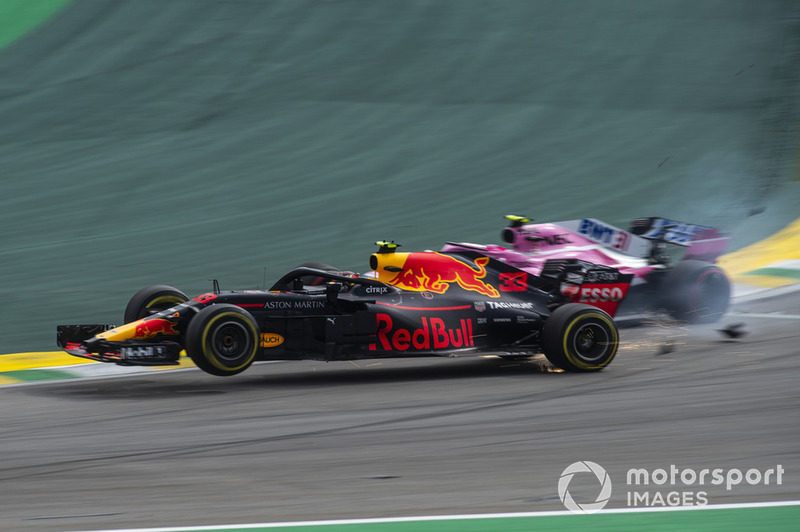 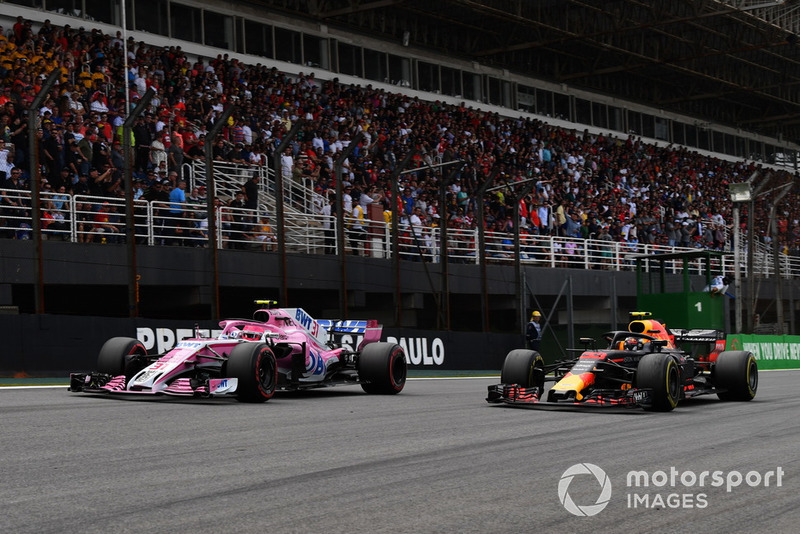 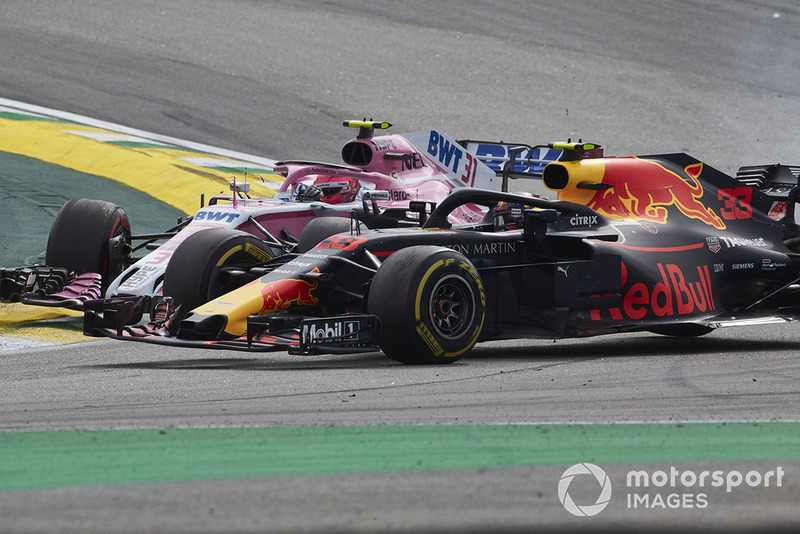 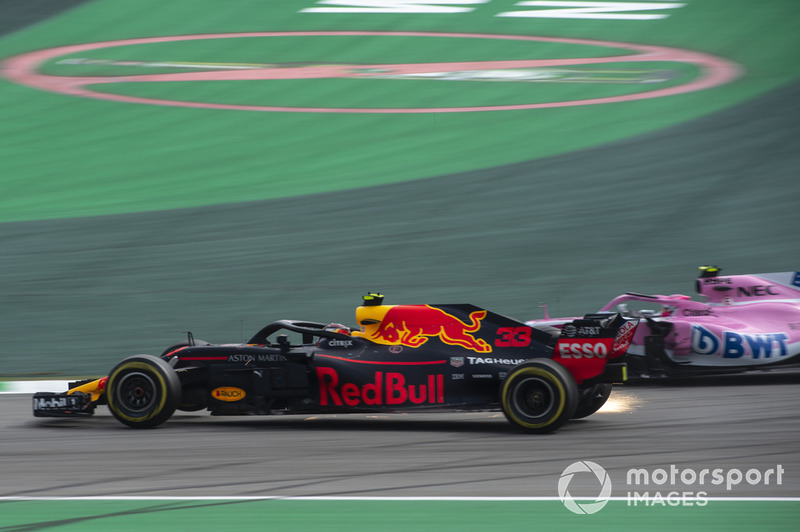 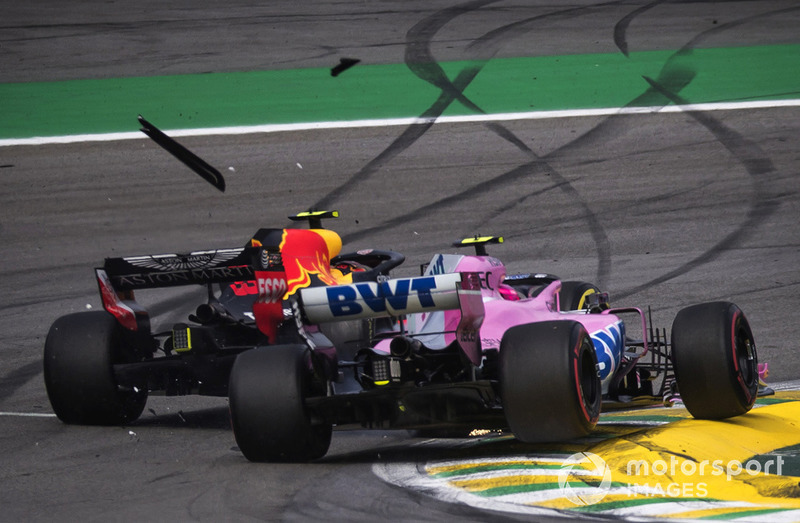 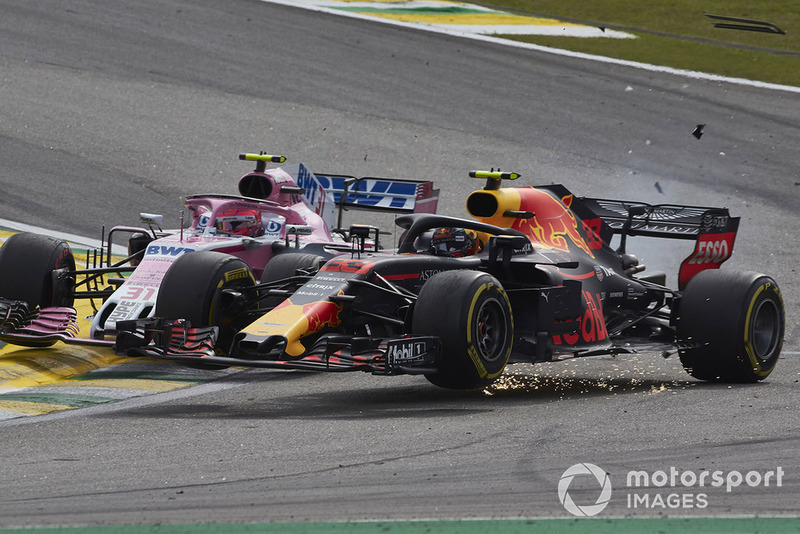 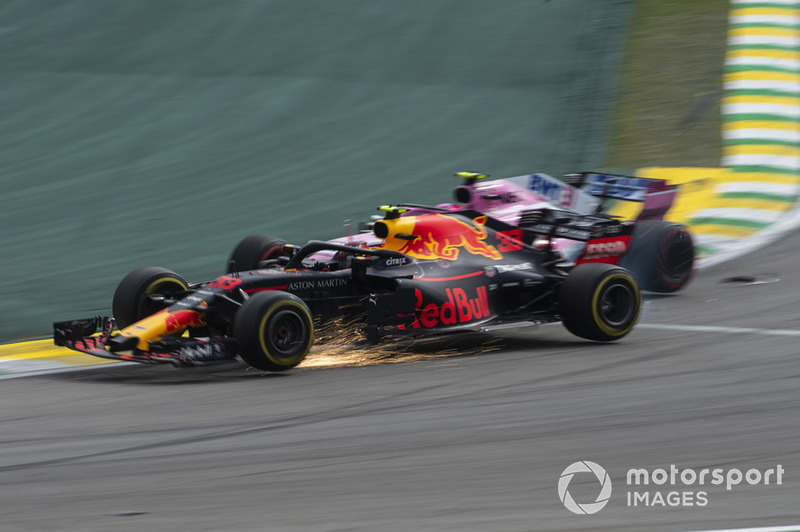 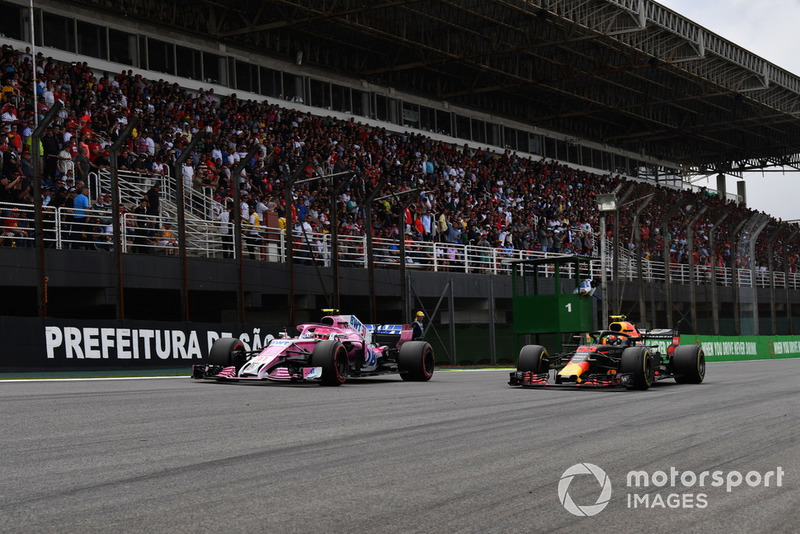 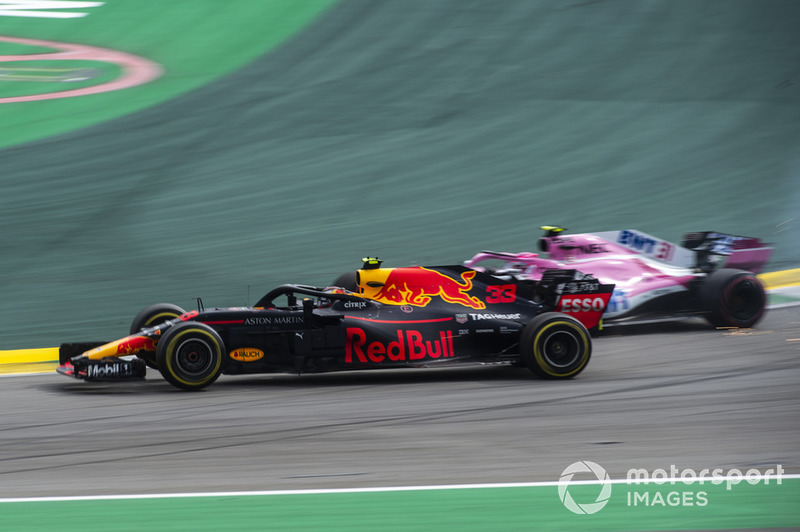 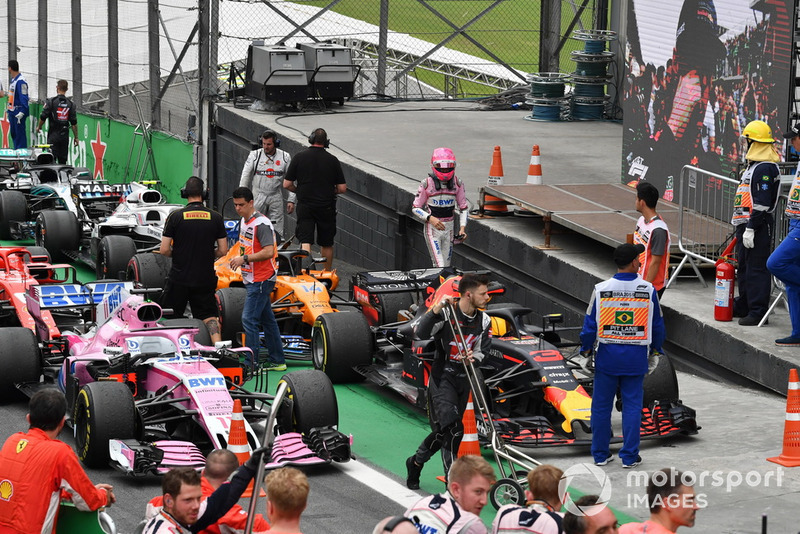 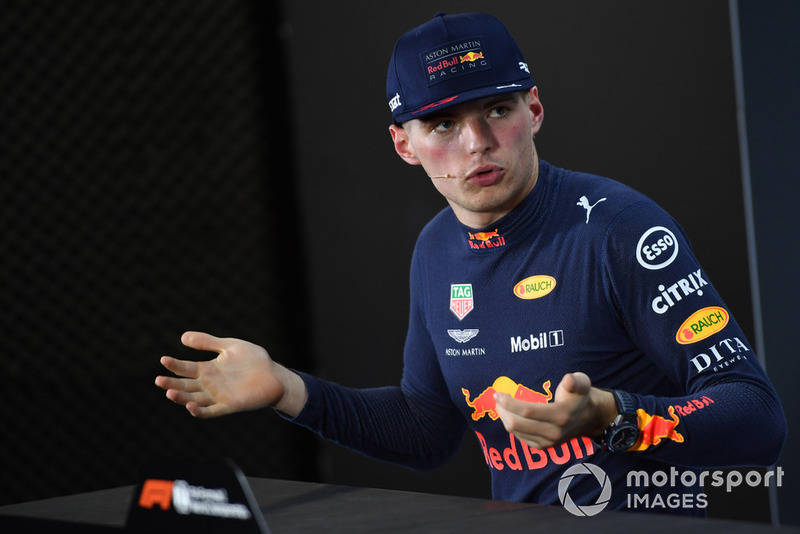 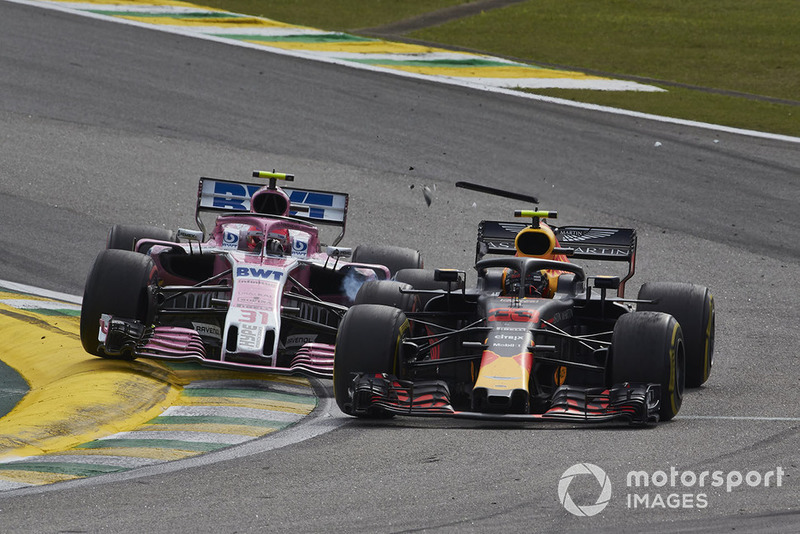 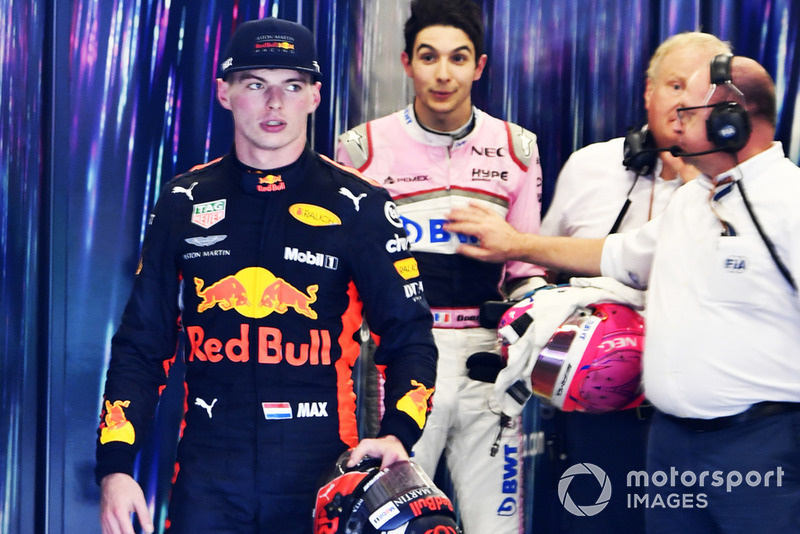 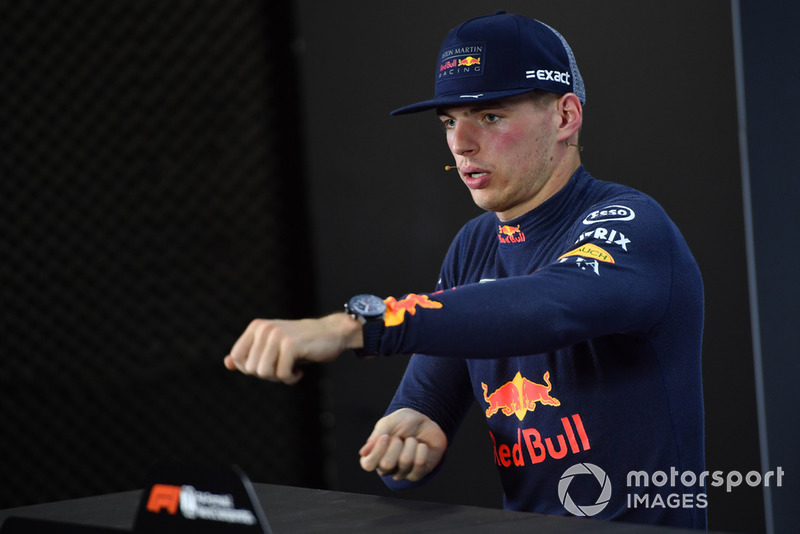 Max Verstappen, Red Bull Racing RB14 Tag Heuer, overtakes Esteban Ocon, Force India VJM11 Mercedes, before the pair make contact. 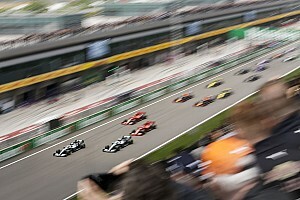 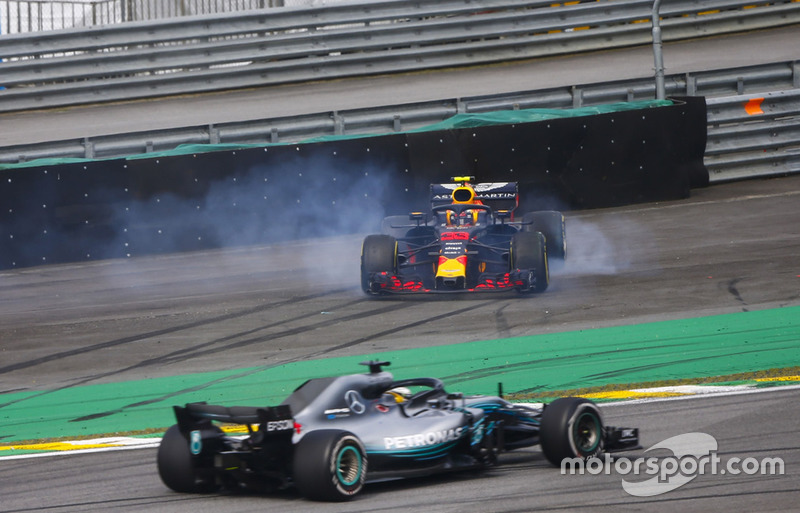 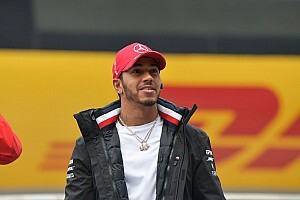 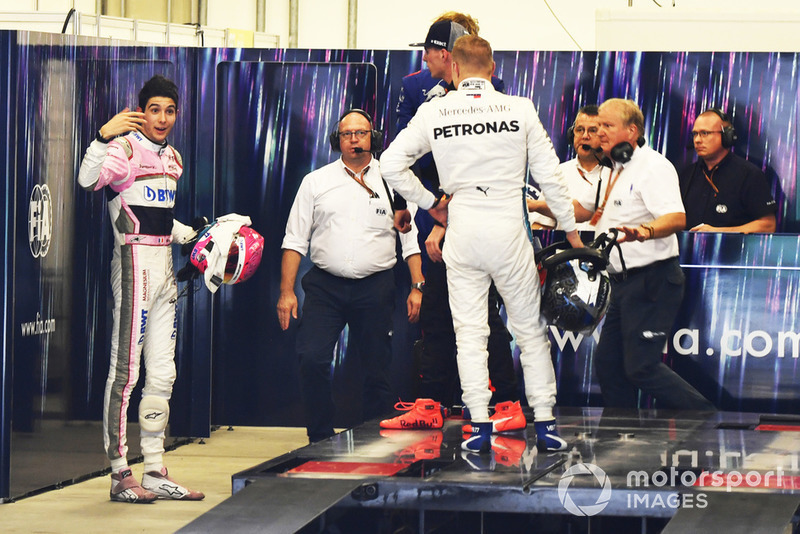 Lewis Hamilton, Mercedes AMG F1 W09, passes a spinning Max Verstappen, Red Bull Racing RB14 Tag Heuer, after the latter suffers a collision with Esteban Ocon, Force India VJM11 Mercedes.